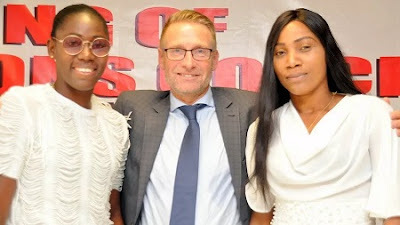 Swedish Coach, Thomas Dennerby, has officially been unveiled as the new Head Coach of Nigeria’s senior women’s team, the Super Falcons. Dennerby, a former Coach of the Women’s National Team of Sweden, won 34 caps for Swedish junior teams between 1975 and 1981. He coached the Swedish Women’s Senior Team between 2005 and 2012, during which the team played at the 2008 and 2012 Olympics and the 2007 and 2011 FIFA World Cup finals, winning bronze at the latter tournament.